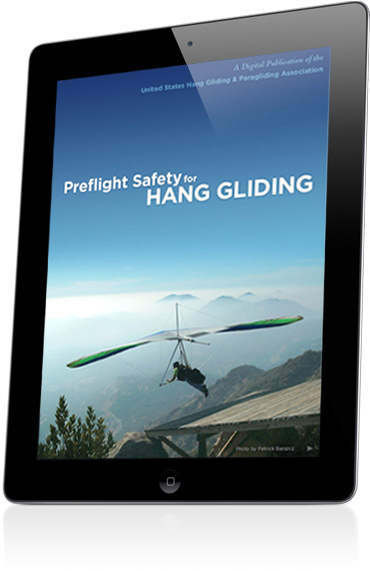 USHPA has produced two apps for Preflight Safety - for Hang Gliding and Paragliding. Now available for iPad or as interactive PDFs. 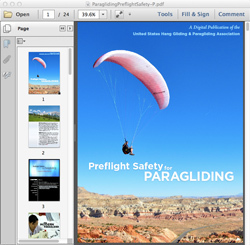 If you do not have an iPad, you can view the content as an interactive PDF. The interactive features may only be available using Adobe Acrobat or Adobe Reader. Choose either "Landscape" (wide) or "Portrait" (tall) according to your preference. NOTE: The PDFs are extremely large (video and high resolution photos) - they will require some time to download.